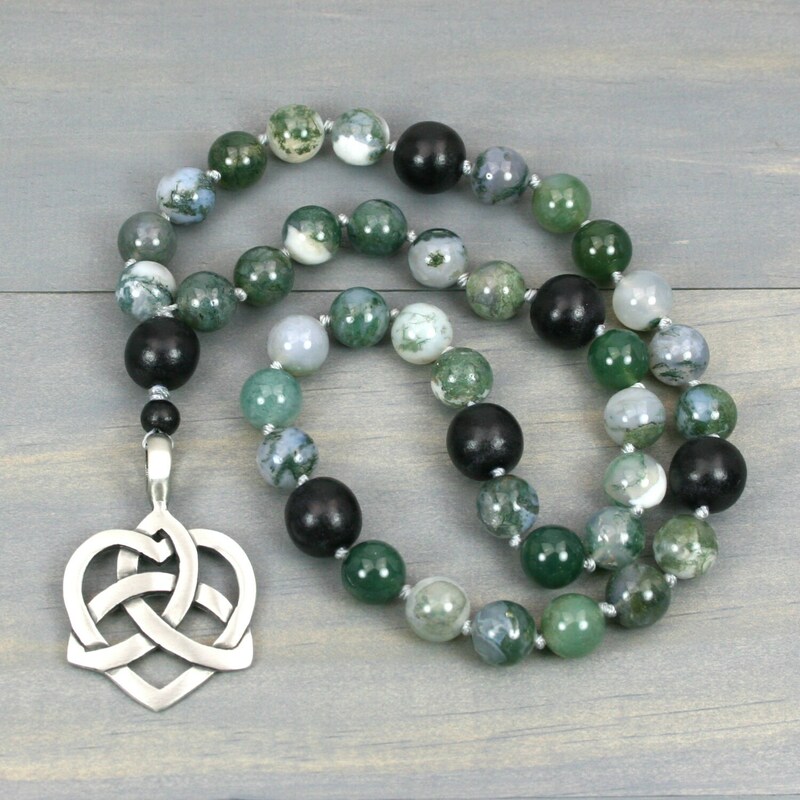 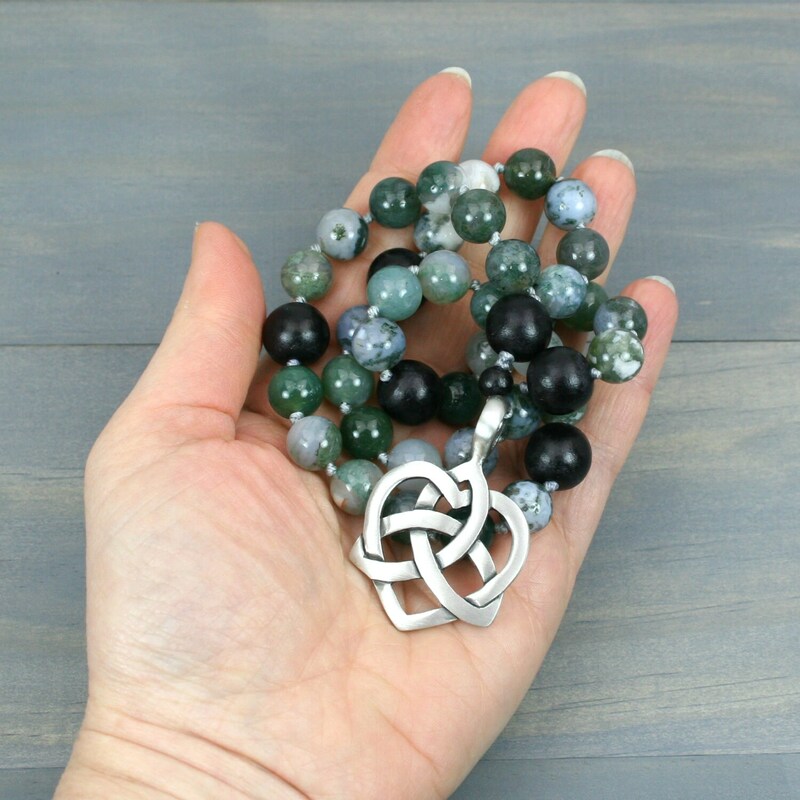 This set of gratitude beads is made in the 36-bead style with the gratitude beads being 10 mm round moss beads, the category beads being 12 mm round black wood beads, and the opening focal an antiqued pewter Celtic heart knot (46x30 mm). 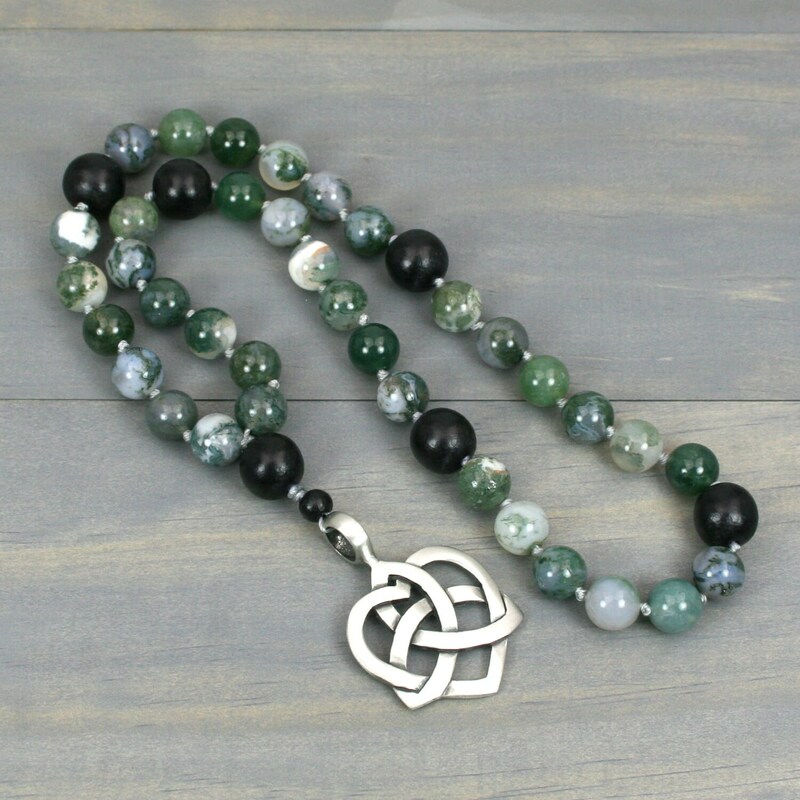 These are all hand knotted with nylon cord for a soft flexibility in using the beads coupled with resistance to wear against the rough inner surface of the stones. 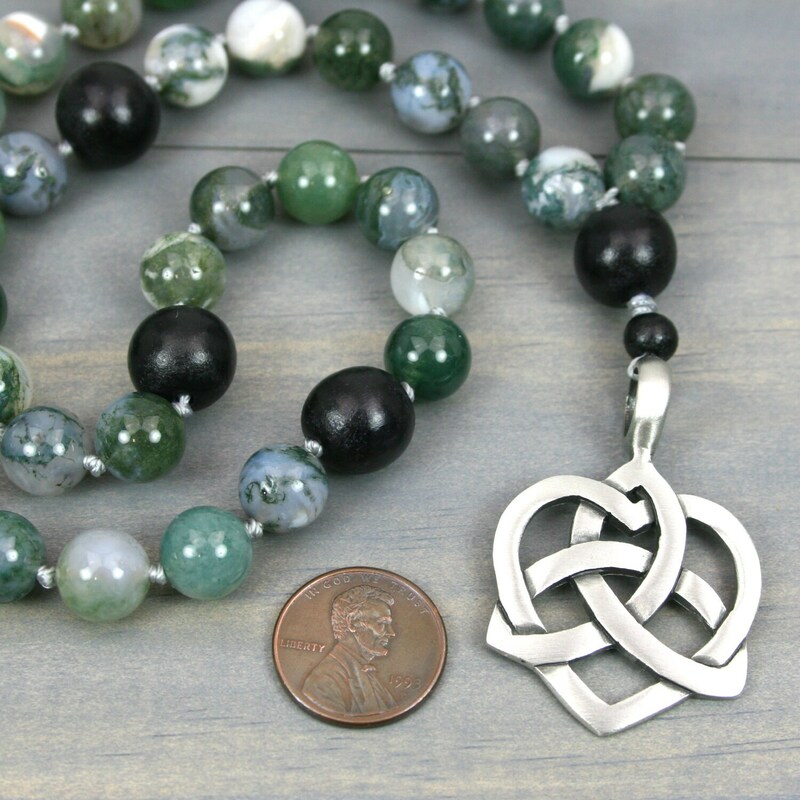 All knots are reinforced with glue for extra sturdiness. 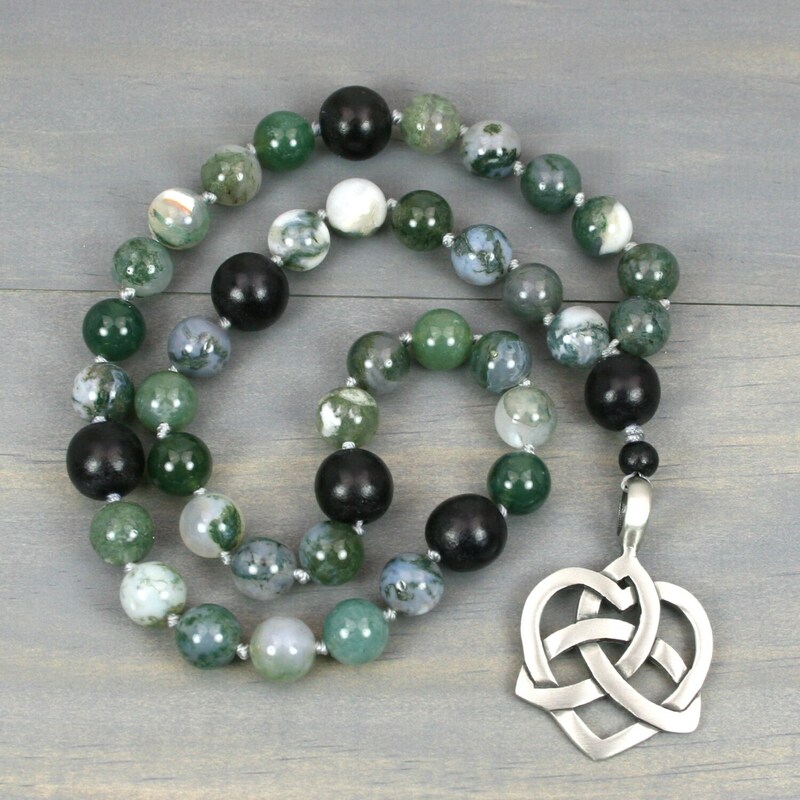 The bead set measures approximately 12 inches long from the end of the opening focal to the top of the circle of beads.